Following the success of last year’s Electric Frog & Pressure Riverside Festival in Glasgow, The Electric Frog and Pressure have joined forces once again announcing the first batch of artists confirmed to play The Electric Frog & Pressure Riverside Festival 2015. 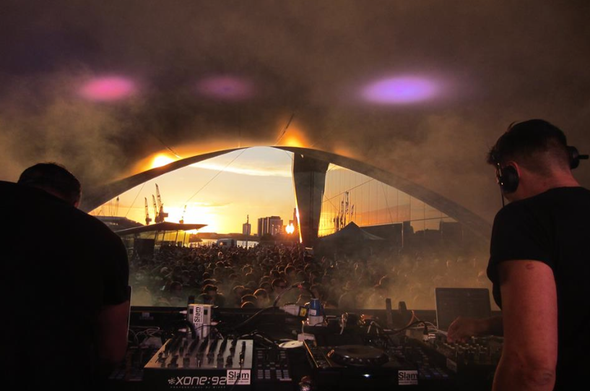 Acts including Ricardo Villalobos, Sven Väth, Siriusmodeselektor (live), Popof, Slam and Optimo will play the event, with many more to be announced in the coming weeks. Taking place on 29-30 May 2015 – a new format of Friday and Saturday - the outdoor music festival will once again take place on the grounds of the Riverside Museum, on the banks of the River Clyde. The 2015 event will be bigger than ever before, with the addition of the Sunset Stage allowing even more talent to join the bill. Tickets are available via Ticket Scotland and Resident Advisor.